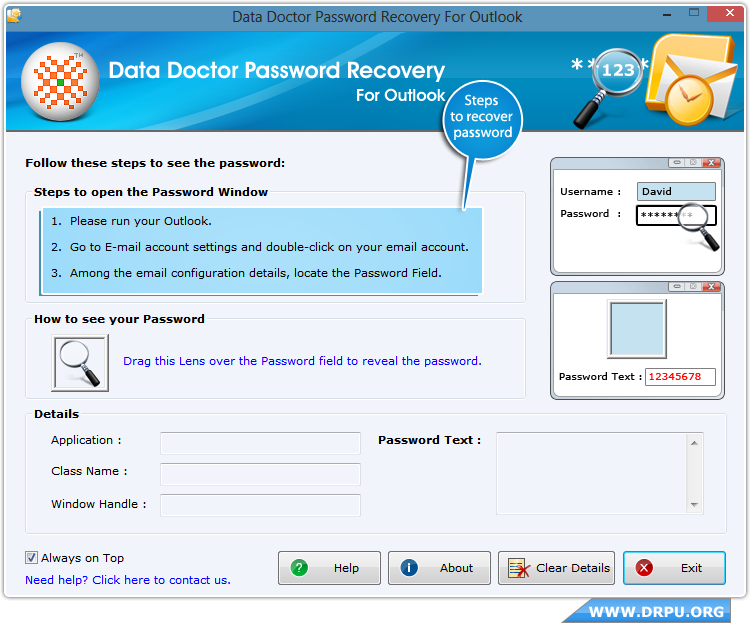 Run Password Recovery Software for Outlook on your PC. 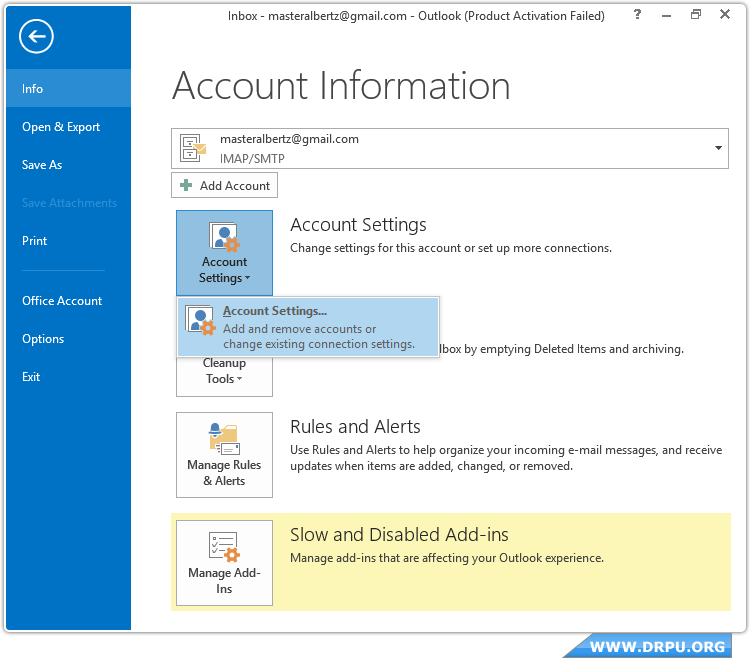 Open your MS Outlook and go to Account Settings option. 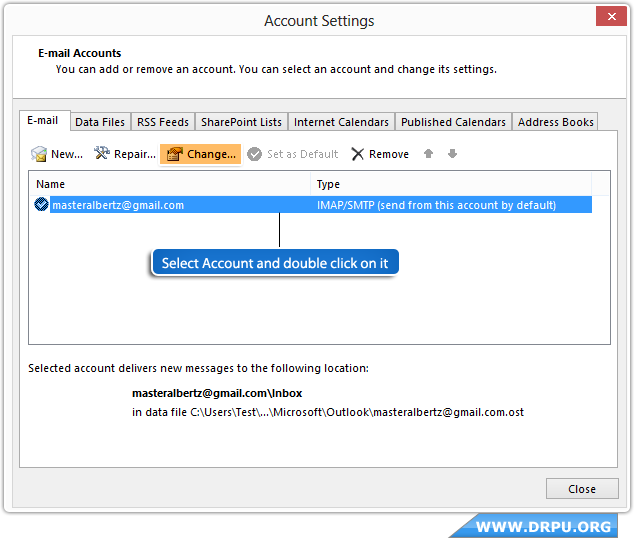 In Account Settings, select your email and double click on it (or click change option) to view its logon information. Now locate the password field. 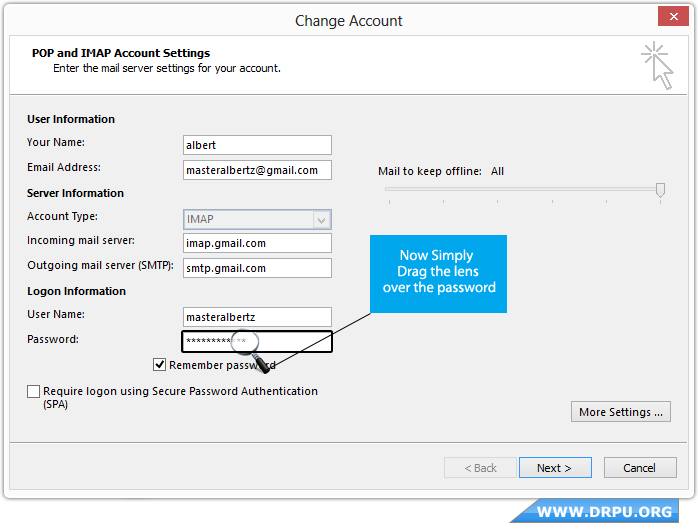 Drag lens from Password Recovery Software for Oulook over the password field to view lost or forgotten password. 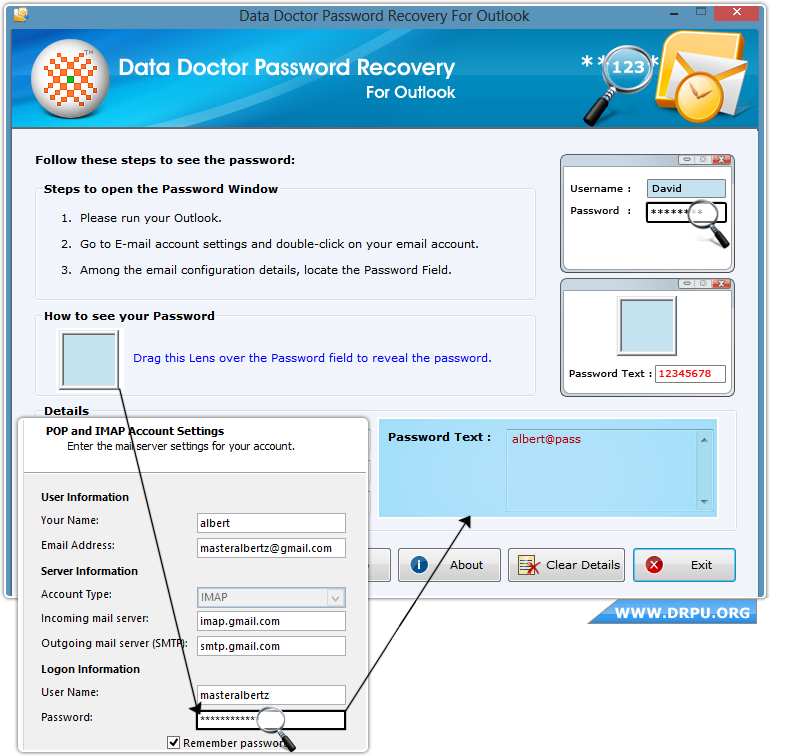 You can see recovered password in Password Text field in software.